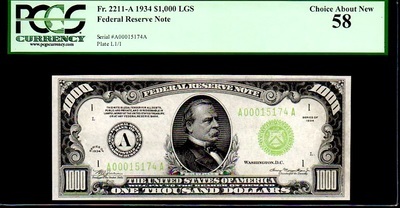 This “Light Green Seal” High Denomination note has BROAD Even MARGINS and Dark Rich Inks with Razor Sharp Corners ~ Just Stunning!!! 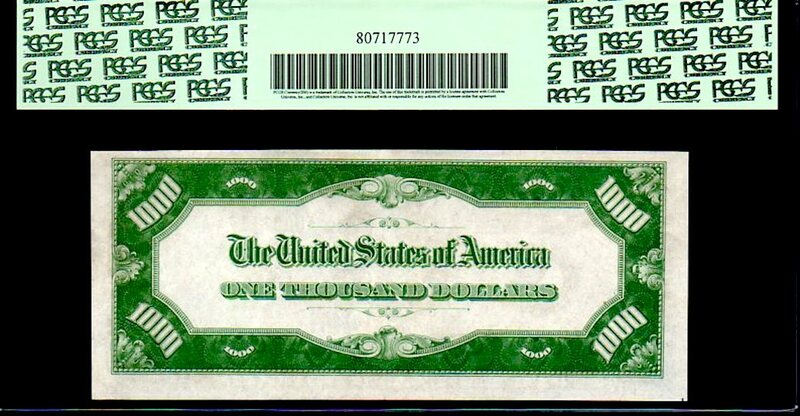 It’s also a RARER Light Green Seal district “A” Boston with ONLY about 90 pieces in total Certified by all grading services and this piece ranks in the top 25% with only 7 Gems known! 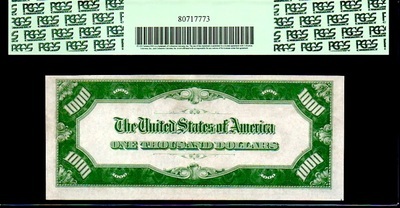 This piece literally has the Front Margins of a 67! A very flashy High Denom. That is sure to please it’s New Owner ~ Would make a GREAT CHRISTMAS PRESENT! 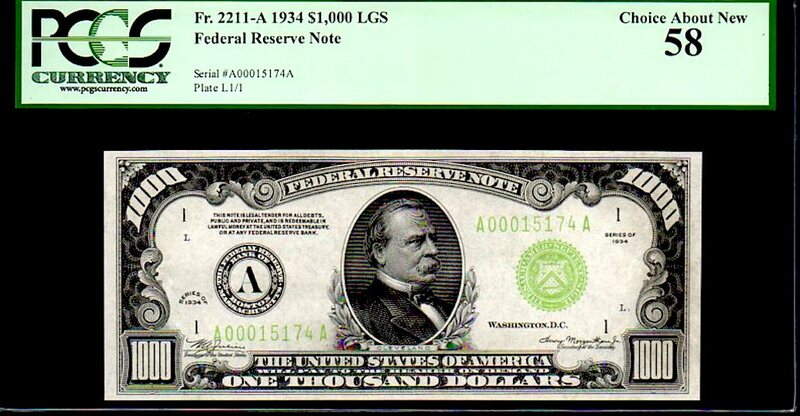 FR 2211-A “BOSTON LGS” $1,000 FEDERAL RESERVE NOTE PCGS 58 “RARE” $1000!